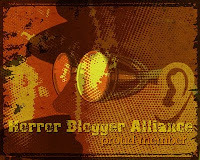 I did a blog post recently in which I pretty much just complained about horror films not being shown at my local cinema. Well I'm riding high with a lot of egg on my face as there are currently three showing. Australian made The Babadook was by far the most interesting of the horrors I wanted to see. When I left the screen at the end of the film people all around me were laughing and saying what an awful film The Babadook was, and yet me myself found it to be terrifying. It follows the tried and tested horror method of having a day and night cycle (such as Paranormal Activity, Insidious and may others have) with moderate horror taking place in daylight but the real ordeal starting at night. A lot of this fear came from sitting tense waiting for the horror to end. I didn't care about the characters, both mum and son are annoying people, more I was waiting for a breather. Flickering lights, strange noises and voices, even a bit of people being dragged around by unseen forces, it's all been done before but it is still effective. The majority of the film takes place in the grey depressing, deteriorating house the two live in, this reflects Amelia's state of mind, there is a lot to point to that the events of the film do not actually even occur, it could just as easily be in her fragmented mind, driven mad by her troubled and possibly psychotic son. Noah Wiseman plays Samuel and he is one of the most irritating characters of recent years. He squeals, he shouts and plays up, he ignore his mother and is basically a little brat. It's telling that his teachers and even his aunt can barely stand him. Amelia is also at the end of her tether with him. In some ways the events of the film can be seen as a far more human tale, There are even slight undertones pointing to a more incestuous relationship between the two, such as them always sharing a bed together and him walking in on her using an adult toy. These are very slight undertones it must be stressed but again points to a more psychological explanation than a paranormal one. Where the film becomes great is the appearance of the pop up book. It is creepy as hell and sent shivers down my spine with it's intricate knowledge of the woman and her child's fears. The Babadook itself is kept to the shadows for a lot of the time, when it is revealed it is all puppetry which just looks uber disturbing. The horror here is of a children's story book come to life. 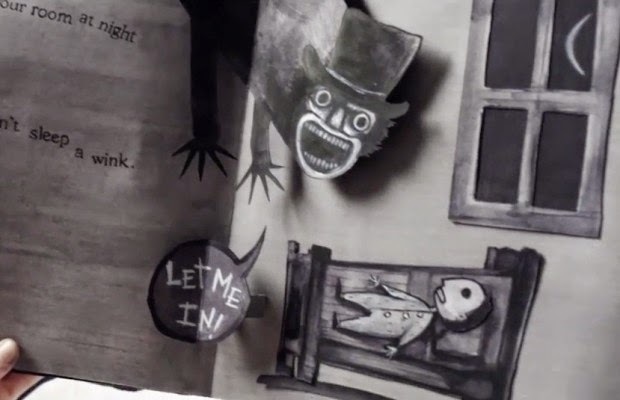 Repetition of actions such as the constant knocking on doors, and the fact that the Babadook gets more powerful the more you deny it exists all point to the origins in make believe. What I found interesting in the direction of The Babadook is that it constantly follows Amelia, regardless of what is happening it is her story, it feels real fresh, even when she is behaving extremely weirdly and may be possessed the camera is still always centered on her. Davis is very well cast and is so easily able to portray herself as both a doting mother and as someone in the grip of true madness, the way she flips between the two states is wonderful. The use of jump cuts and time speeding up do the best portrayal of insomnia I have seen, there is some really excellent editing going on here. There are not actually many jump scares to find here which I really appreciated, instead there is a creeping terror, with events slowly ramping up to a large degree. The glimpses of Mister Babadook are sparse but always effective, usually the camera lingers on it for a split second leaving your imagination to fill in the blanks. The sense of unreality works so well in the films favour such as one of the most bizarre scenes. Unable to sleep at night Amelia watches TV, channel after channel has fearful images using clips from really old films, it piles on the disturbing and finally ends with her finding herself looking out the window of a house in the background of a news report, a maniacal smile on her doppelgangers lips; gave me goosebumps! 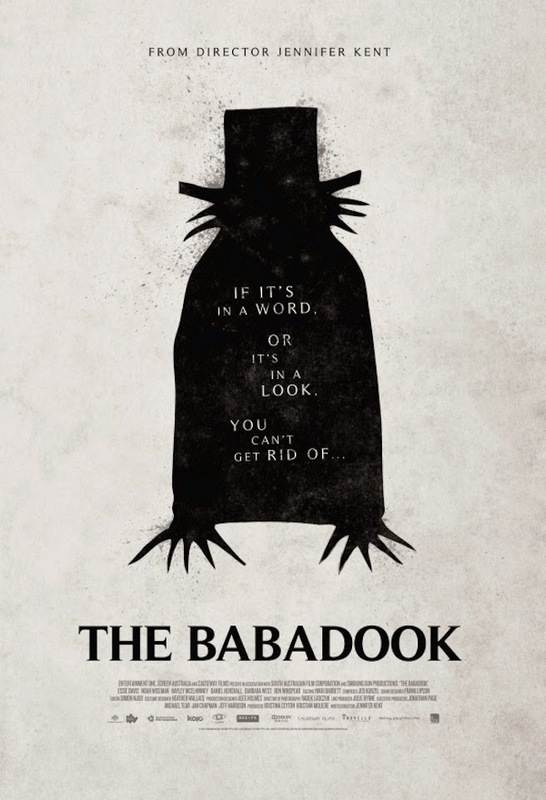 The Babadook is a really scary film that is let down by some poor script and not knowing when to end. It stands out enough to be worth a watch for its bizarre main antagonist and I love the fact that it leaves it up to the viewer to come up for an explanation of what has occurred.